The Christmas countdown has begun at Adelphi, with the excitement starting to build in the office for the Christmas break. 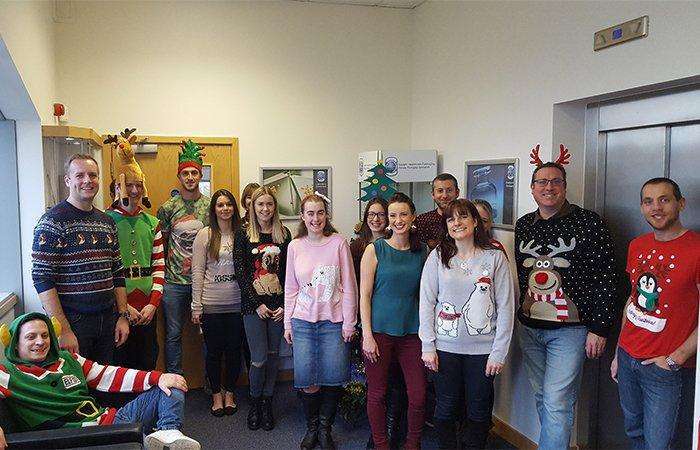 Raising money for Save the Children, Adelphi staff arrived in today with their festive jumpers and comical hats, and dug out their change to donate to charity. We also enjoyed prize giving for the best decorated desk for Christmas (with some rather unusual prizes given by the Adelphi Social Committee). Everyone is now looking forward to a well earned rest over the Christmas break. Merry Christmas from all at Adelphi!